In Titanic: Voices from the Disaster, Deborah Hopkinson weaves together first person narratives from passengers and crew of the Titanic, to give a picture of the first and last voyage of the ship. It’s published for children, but written in an accessible enough way that adults might enjoy reading it as well. I read this one because I had scheduled it for my homeschool book club at work and then realized I’d never read it. Due to reasons, I ended up reading most of it as an ebook. Reading Titanic so soon after reading Patricia Sutton’s Capsized! was an interesting experience. There are certainly some similiarities between the books–children’s non-fiction focusing on a disaster, with an emphasis on the experiences of the survivors. Obviously, the sinking of the Titanic is much more well known than the sinking of the Eastland, and therefore the amount of material available to Hopkinson makes for what I think is a slightly more complex read. I will say that although I’m familiar with the story of the Titanic, the progression of events has never quite sunk in for me. Having the information presented the way Hopkinson does here was actually very helpful and informative! It does make for a tough emotional read because, whoo boy, a lot of this tragedy could have been mitigated had things turned out slightly differently. Overall, Hopkinson focuses on narratives from survivors, which makes sense on several levels. First, because there were almost no things saved from the Titanic–unsent letters, diaries, etc, most likely went down with the ship. Second, because it’s obviously the survivors who afterwards contributed the most to the historical record of narratives and remembrances. But also, I thought it made a nice way to approach this story for kids, in a way that engages with the reality of the disaster and the effects it had on the people who were present without being too horrifying. The book also includes some information about myths that have sprung up around the Titanic and its sinking, with a quick summary of what historians and primary narratives say actually happened. I liked the approach here, which wasn’t to spend too much time on the myths while also debunking them. I’d say that Hopkinson is a very strong writer of narrative non-fiction. There’s a decent balance of different types of people represented here, including some of the crew and some third-class passengers. I haven’t read a lot of Titanic non-fiction to know how she compares to others. 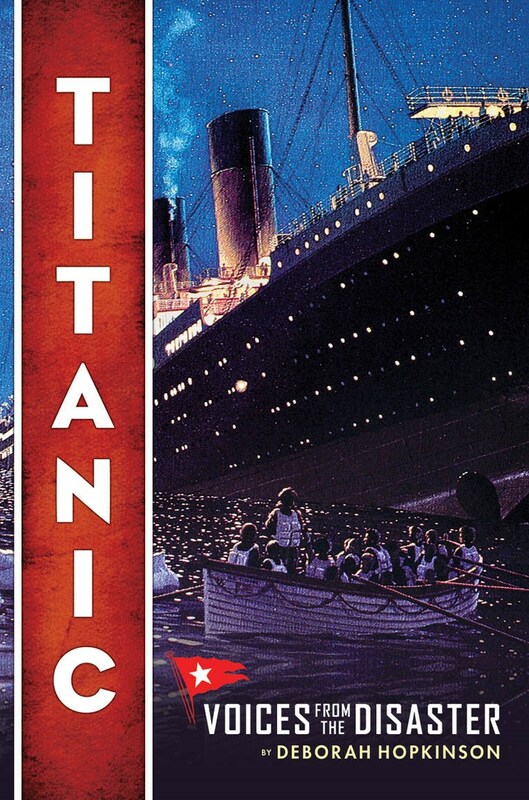 But I’d recommend Titanic: Voices from the Disaster as a solid primer on what happened to the Titanic, or for any fans of non-fiction with an emphasis on the people involved.